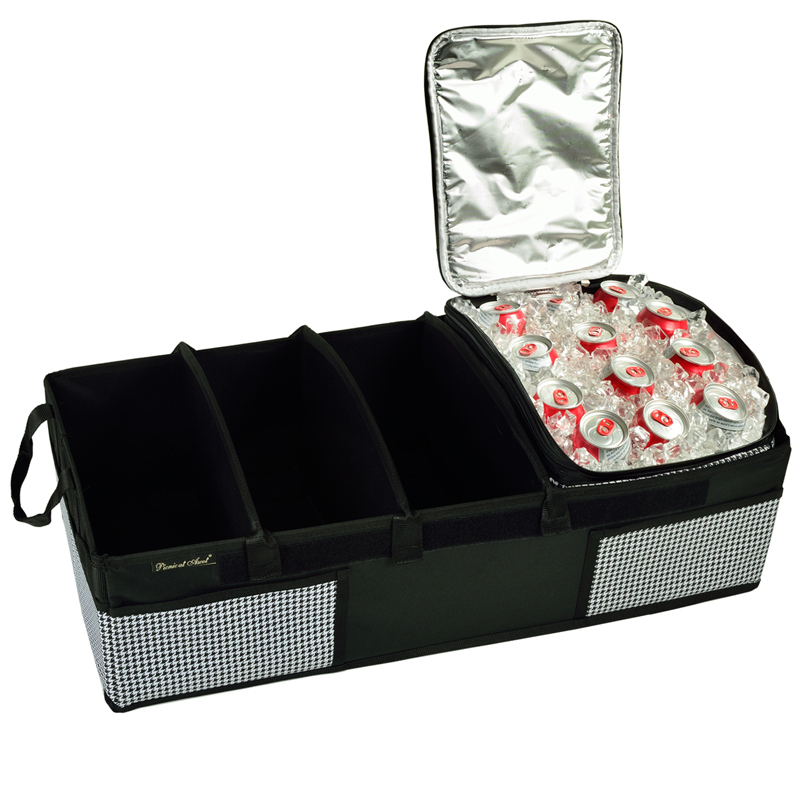 Durable up to 4 section trunk organizer with removable 28 can insulated cooler. 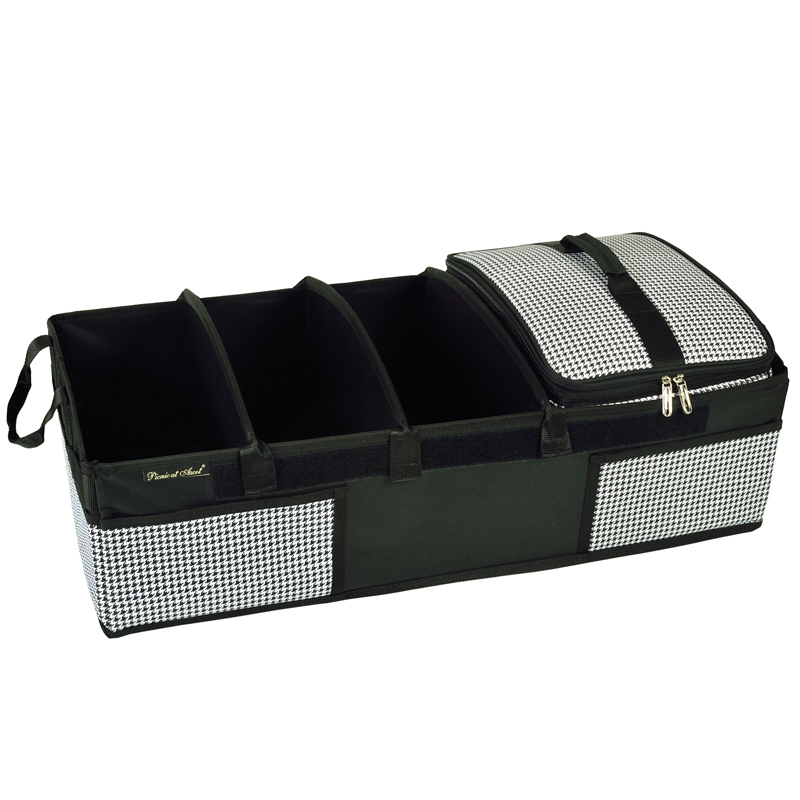 Great for keeping sports gear, cleaning supplies and groceries organized. 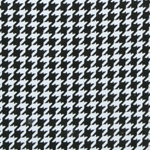 Mesh pocket for maps etc. Foldable when not in use to maintain trunk space.
. 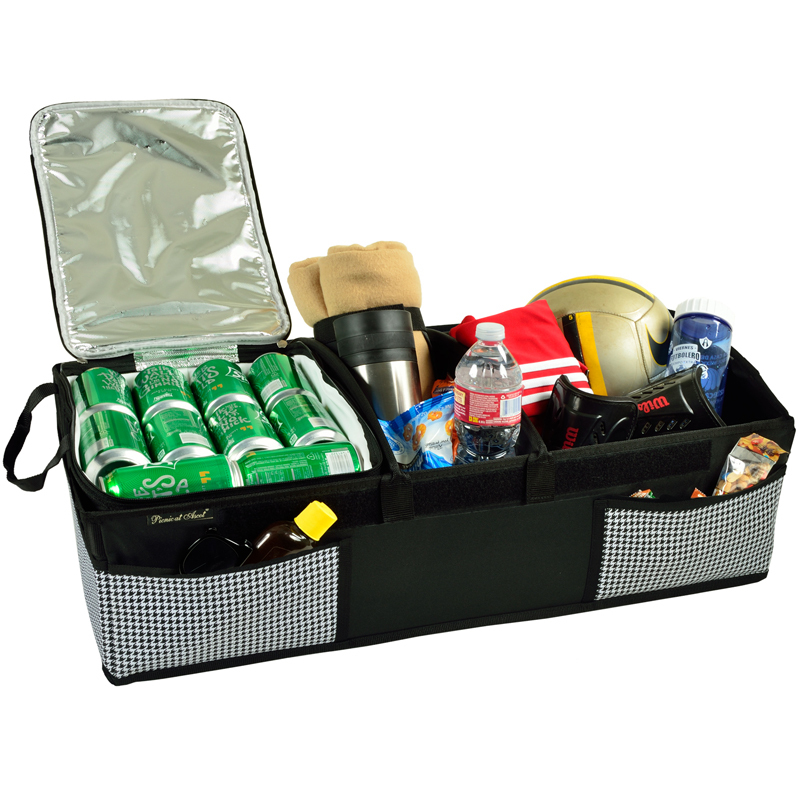 Durable - built to last, constructed with 600 denier canvas with a water proof backing.
. Infinity adjustable dividers to accommodate all shapes and sizes - bottles, sports gear, kids toys and tools.
. 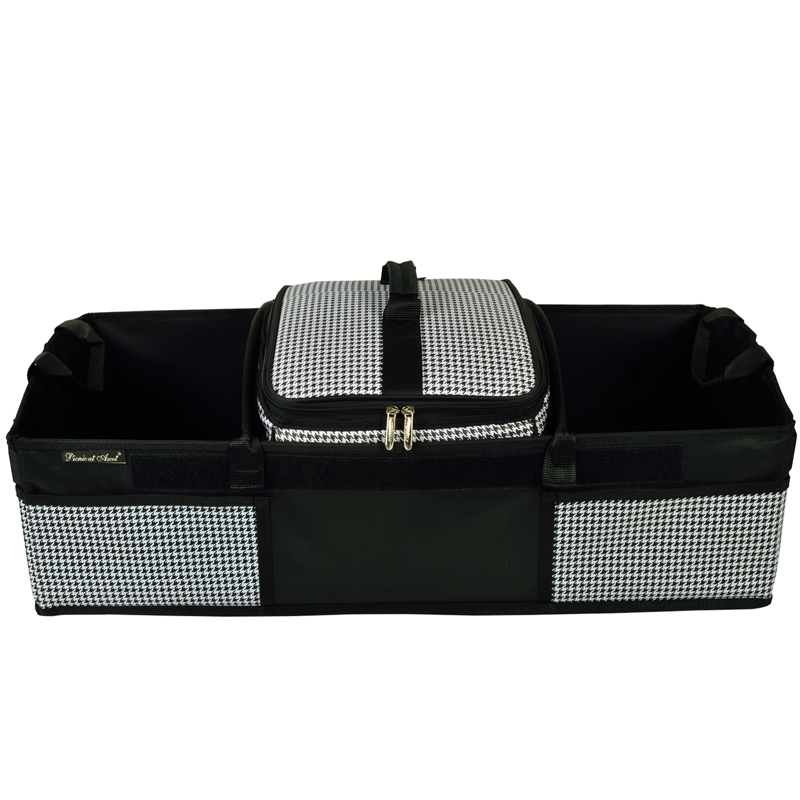 Non skid base - will not side around in trunk.
. Combines the best features of other organizers whilrer overcoming their problmems.
. 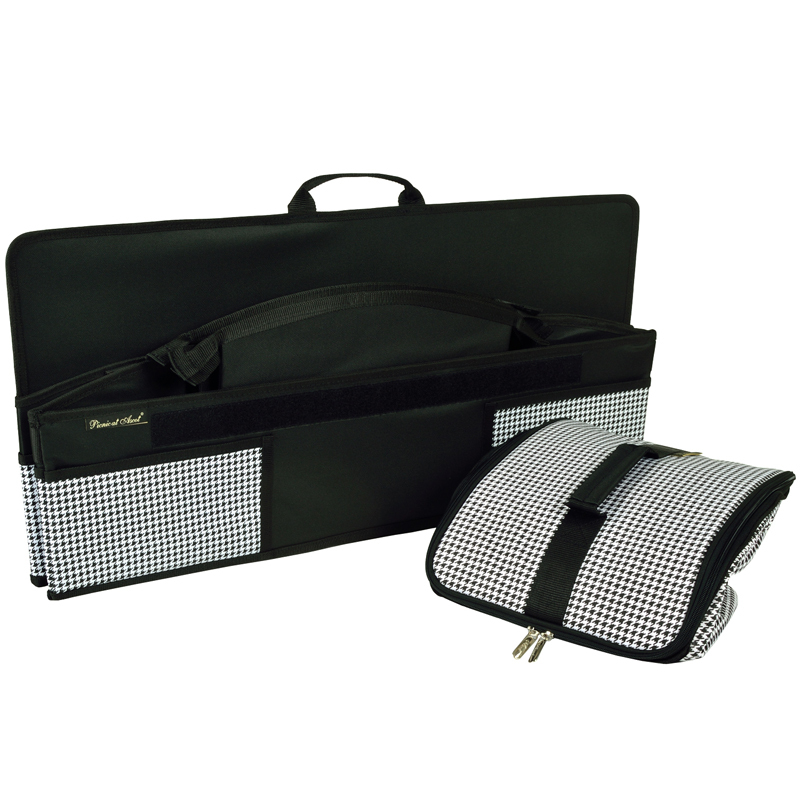 Features unique rigid harrd base, sides and dividers fold flat design with carry handles. Weight per Box: 43 lbs.